The mathematician, statistician, writer, composer and musician, Alexander Craig Aitken, was born in Dunedin, New Zealand on 1 April 1895. He was of Scottish descent. He attended Otago Boys’ High School from 1908 to 1912. 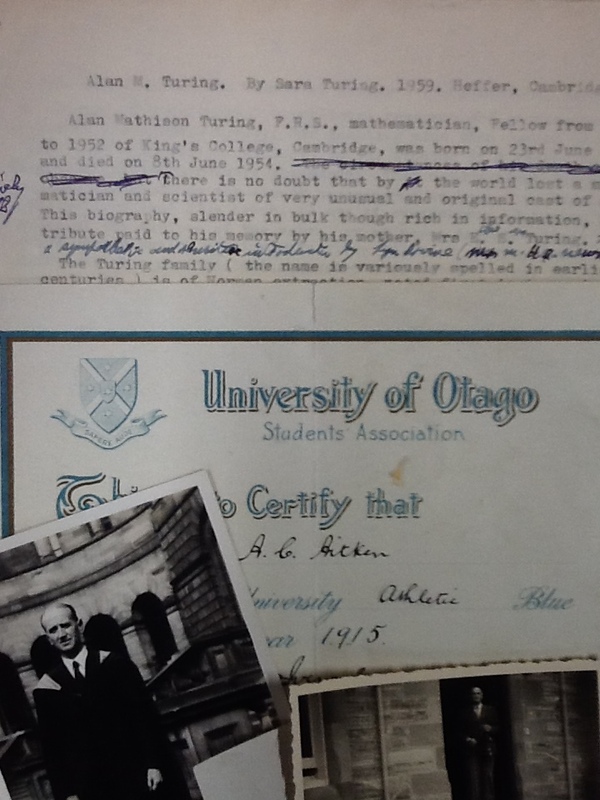 On winning a university scholarship in 1912 he went on to study at the University of Otago in 1913, enrolling in Mathematics, French and Latin. Studies were cut short by the 1914-1918 War however and he enlisted in 1915 serving with the Otago Infantry. Aitken saw action in Gallipoli and Egypt, and he was wounded during the Battle of the Somme. After his hospitalisation, he returned to New Zealand in 1917. 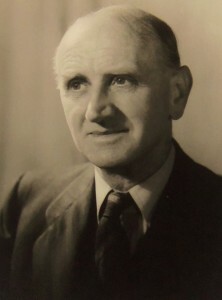 On the completion of his studies in 1920, Aitken became a school-teacher at Otago Boys’ High School and the same year he married Winifred Betts the first lecturer in Botany at the University of Otago where he also did some tutoring. Then, encouraged by a professor of mathematics at the University, he gained a postgraduate scholarship which brought him to Edinburgh University in 1923. His thesis on statistics gained him the degree of D.Sc. in 1925 when he also joined the University staff as a lecturer in Statistics and Mathematical Economics. In 1937 he was promoted to Reader, and in 1946 was appointed to the Chair of Mathematics. Aitken’s publications include: jointly with H. W. Turnbull, The theory of canonical matrices (1932); with D. E. Rutherford, a series of Mathematical Texts; wartime experiences in Gallipoli to the Somme: Recollections of a New Zealand infantryman (1963); and, posthumously To catch the spirit. The memoir of A.C. Aitken with a biographical introduction by P.C. Fenton (1995). He made many important contributions to the many fields of his subject, particularly in the theory of Matrix Algebra and its application to various branches of mathematics. In his time, Professor Aitken was one of the fastest mathematical calculators in the world. While at school, Aitken had learned to play the violin, and later on in life he played both the violin and viola and composed pieces for performance by university groups. He died in Edinburgh on 3 November 1967. Shortly before Christmas we acquired a further tranche of Aitken’s papers. These include a number of original mathematical manuscripts, correspondence, legal documents, offprints, publications and photographs. Amongst these is a review by Aitken of Sara Turning’s “Alan Turing”. At the moment we still have to look through the collection, box it up and create a basic handlist. Once this is done it will be available for consultation. 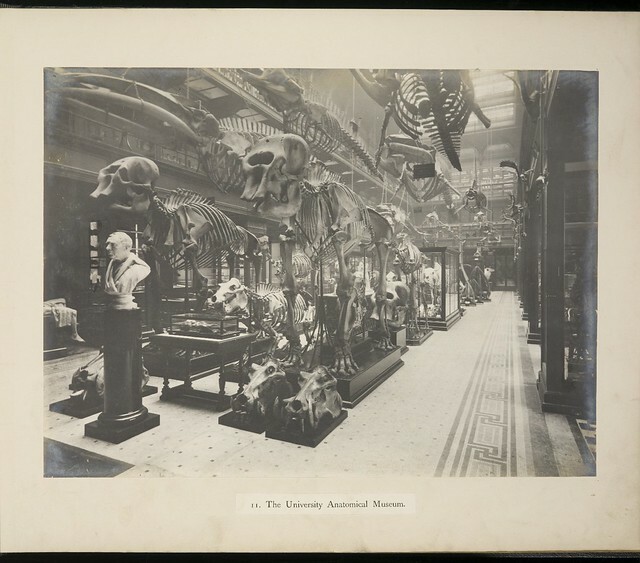 This entry was posted in Collections, Library, Uncategorized and tagged Alexander Criag Aitken, archives, mathematics, staff on 22/01/2014 by Archivists.